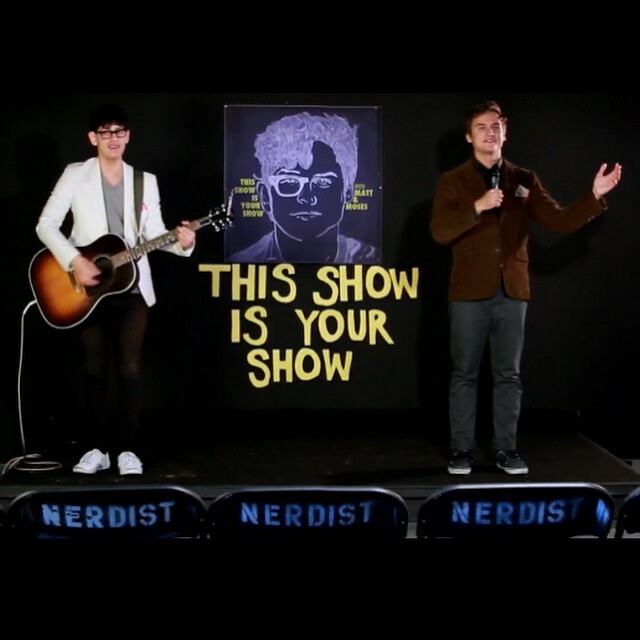 TONIGHT, March 12th, there are two shows that I highly recommend you attend at NerdMelt. 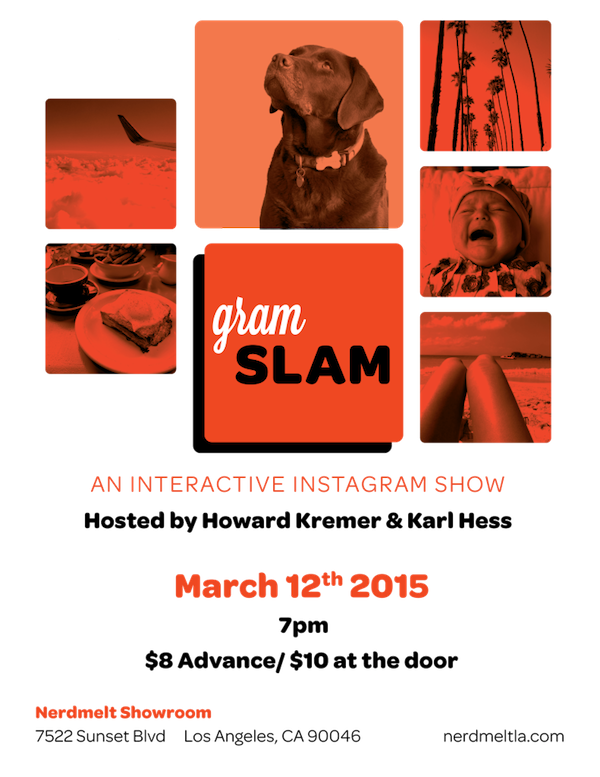 The first is Grand Slam, an interactive Instagram show. When I usually hear “interactive” I run screaming for my life. But in the hands of the King of Summah/host HOWARD KREMER and co-host KARL HESS, how scary could it be? Yes, they will be making fun of your Instagram profiles (and their own), but you did sign up for it. The Instagrams will be used for unique games, stories, contests and more! I hope that means prizes (no prizes were mentioned). Did I mention the special guest of the evening is BROOKS WHEELAN, former SNL kingpin? How can you possibly resist? GO! Mentions: Gram Slam 7pm. Buy tix HERE. 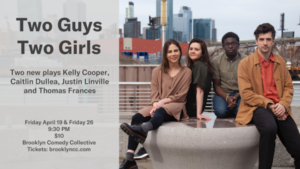 This Show is Your Show 9pm. Buy tix HERE. NerdMelt Showroom is located at 7522 Sunset Bl., LA.